This marks a second major win for Qualcomm in a month after a court in China on December 10 ordered a prohibition on iPhone sales over a separate patent dispute there. "The ruling effectively outlaws the offering and placing on the market of the finished product in Germany, including the sale. The iPhones 7plus, 7, 8, 8plus and X are affected," said the regional court in Munich in a statement. 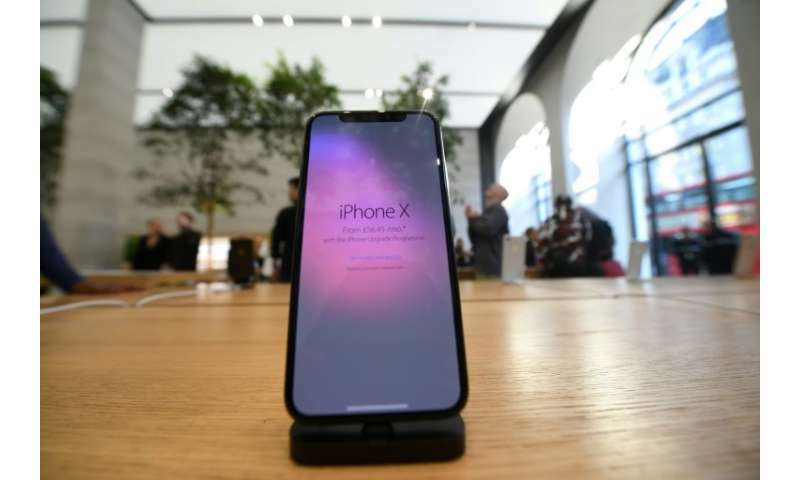 Given that Apple can appeal the initial ruling, the court said the injunction banning sales of affected iPhones could only be imposed immediately if Qualcomm laid down a security deposit amounting to 668.4 million euros ($765 million). The court said it had to go with Qualcomm's explanation of how the chip worked as Apple would not give details on its functioning, citing the industrial secrecy interests of its supplier. "If the defence can only be carried out when one reveals a secret," then one must either do so, "or one can keep the secret and then possibly lose the case, as has happened today," said the judge Matthias Zigann, according to remarks carried by national news agency DPA. Apple immediately attacked the decision, accusing Qualcomm of trying to "distract from the real issues between our companies. "Qualcomm insists on charging exorbitant fees based on work they didn't do and they are being investigated by governments all around the world for their behavior," a statement said. "We are of course disappointed by this verdict and we plan to appeal. All iPhone models remain available to customers through carriers and resellers in 4,300 locations across Germany. "During the appeal process, iPhone 7 and iPhone 8 models will not be available at Apple's 15 retail stores in Germany. iPhone XS, iPhone XS Max and iPhone XR will remain available in all our stores." The China court had also ruled in favour of Qualcomm in a dispute based on patents which enable consumers to adjust and reformat the size and appearance of photographs, and to manage applications using a touchscreen. The two cases are an extension of a wider battle between the two IT giants. Apple argues that Qualcomm is abusing its market power over certain mobile chipsets in order to demand unfair royalties, joining a string of antitrust actions against the chipmaker. Qualcomm itself is meanwhile facing antitrust probes in South Korea, the European Union and the United States over its dominant position. Qualcomm in 2015 agreed to pay $975 million to settle antitrust charges in China.